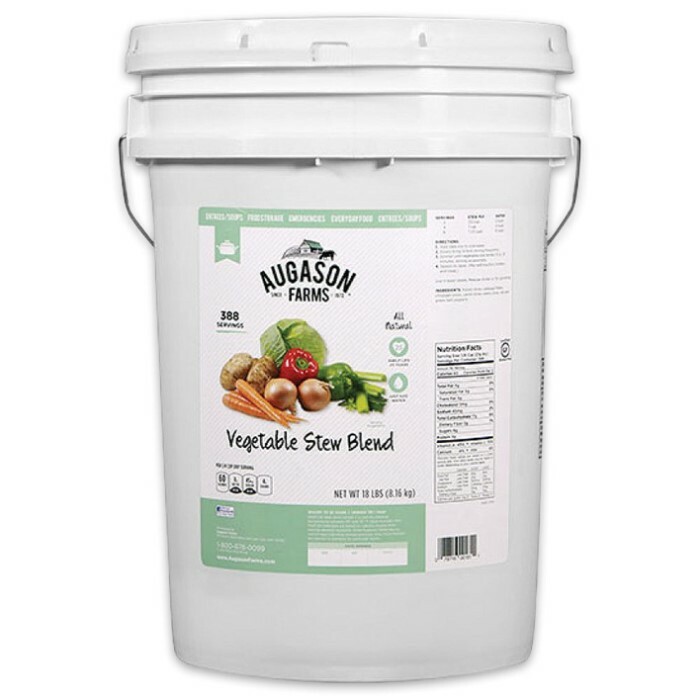 Augason Farms Vegetable Stew Blend - 6-Gallon Pail | BUDK.com - Knives & Swords At The Lowest Prices! 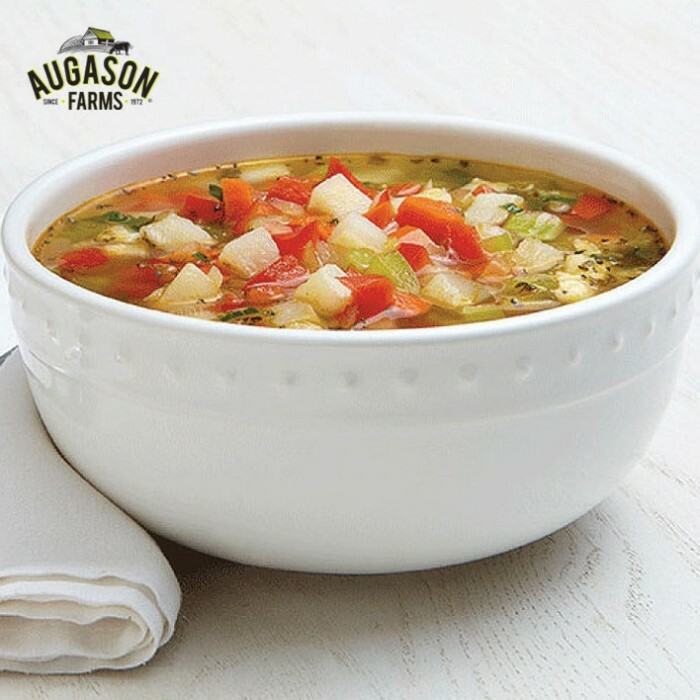 Augason Farms offers a nutritious and hearty combination of potato dices, cabbage flakes, chopped onions, red and green peppers, carrot dices and celery slices. The 6-Gallon Pail Vegetable Stew Blend is the perfect blend to make it easy to add to broths, soups, casseroles or stew. The packages have a 25-year shelf life and up to one year after opened, when stored in a cool, dry place.